At the recommendation of a neurologist in Iceland, Sigurjon’s family sought out David Rye, who is known internationally for his research on idiopathic hypersomnia, a poorly understood sleep disorder. Sigurjon’s profile suggested that he might respond to an unconventional medication Rye has experience with: flumazenil. It was not originally developed for use with sleep disorders and is generally given intravenously. It is available — in oral lozenge form and in a cream applied to the skin — only through a few compounding pharmacies in the United States. That’s why Sigurjon had to come to Atlanta to try it. After evaluating his medical history and symptoms, and giving him a series of tests, Rye concluded that Sigurjon has idiopathic hypersomnia. Over the last several years, Rye has been calling attention to the neglected status of idiopathic hypersomnia, or IH. Hypersomnia means “too much sleep,” but the word idiopathic can be confounding. It means the cause is not known. Sleep scientists have argued about IH’s origin and mechanisms, and whether it’s one, two or many entities. Rye and his team have an idea for how to redraw the map. Sleep specialists are trained to recognize conditions that can render someone drowsy, with two of the most common being sleep apnea and narcolepsy. Sleep apnea comes from interruptions in breathing, which interfere with sleep’s restorative nature and put strain on the heart. Narcolepsy—one form of it, at least—is also well-understood: an autoimmune attack eliminates cells in the brain that keep someone awake and alert. People with hypersomnia find that sleep is taking over their lives, hour by hour. In contrast, for people with narcolepsy, the boundary between sleep and wake is less stable. Some people with persistent sleepiness don’t fit neatly into these categories. Understanding what lies behind their sleepiness could unlock new insights into how the brain works. It could also change the lives of people, such as Sigurjon, who have slipped through the cracks of modern medicine. 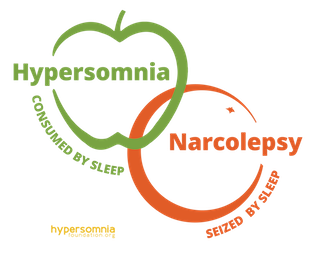 Rye compares hypersomnia and narcolepsy to apples and oranges. (He even created a T shirt design to drive home this point.) He has proposed that in some people with symptoms like Sigurjon’s, the circuits within the brain that promote and maintain sleep are overactive. This idea is supported by the Emory team’s use of flumazenil for IH and similar disorders. Flumazenil is an antidote against benzodiazepines and related compounds, a class of anti-anxiety and sedative drugs. People undergoing an uncomfortable medical procedure, such as a colonoscopy, are often given one of them (midazolam/Versed) for “conscious sedation.” If they get too much and have trouble breathing, flumazenil can reverse the sedation. It can also be used to counteract overdoses of other benzodiazepines in the ER. In 2007, Rye and his colleagues observed flumazenil’s effects with Anna Sumner Pieschel, an Atlanta attorney whose life was being overtaken by sleep. Anna had to take a leave from her job and couldn’t drive. She already had tried conventional medications, such as the “smart drug” modafinil, together with amphetamines. Anna found it difficult to tolerate the doses she needed to stay awake and experienced periodic crashes. Rye has compared Anna’s treatment with stimulants to “driving a car with the parking brake on.” He and a colleague, nurse practitioner and sleep researcher Kathy Parker, suspected something else was going on. Laboratory tests indicated that her spinal fluid mimicked the biochemical effects of benzodiazepines, even though she wasn’t taking any. A more extensive account is in this 2013 Emory Medicine article. Looking for alternatives for Anna, Rye and Parker obtained some flumazenil from manufacturer Hoffmann-La Roche, through a limited “compassionate use” arrangement. They figured out how to deliver it as under-the-tongue lozenges and a skin cream. Flumazenil—in combination with other medications—helped Anna return to work. She eventually became a partner at her firm, and felt confident enough to get married and start a family. Sigurjon’s family, and some of the doctors he saw in Iceland, were unsure how to help him. He had already tried other medications that are often used to treat persistent sleepiness: modafinil and methylphenidate (Ritalin). They could physically keep him awake, but he still didn’t feel right. In July 2018, Sigurjon, then 23, got a chance to let a flumazenil lozenge dissolve under his tongue. As seen in the Georgia Public Broadcasting video, both his family and Anna were watching. The effect was not immediate. First, Sigurjon mentioned feeling irritated or agitated in his legs: “My body is telling me to go move…to go running or go do something.” Within five minutes the drug’s effects began to kick in, in earnest, and a smile planted itself on his and his parents’ faces. After all the anticipation, it was possible that part of what he was experiencing could be a placebo effect. The Emory researchers wanted to monitor changes in his alertness physiologically. 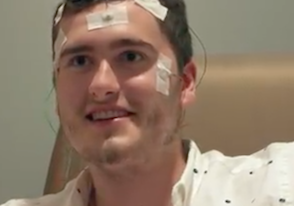 Electrodes placed on Sigurjon’s face monitored his brain waves (EEGs). On the days he tried flumazenil, he performed a series of tests measuring his reaction time, which became faster for several hours after taking the drug. In addition, after applying a skin cream containing it, he was able to wake up spontaneously for the first time in years —to his surprise—without the aid of an alarm clock. In January 2019, Sigurjon told Rye that he was slowly building stamina to be able to work at his construction job and thinking about going to school again. Rye has other patients from European countries who periodically visit Atlanta for a check-up and to maintain their flumazenil prescriptions. Sigurjon and Anna are part of a worldwide community of people with IH and related sleep disorders. Many people with IH have had to stop school, leave their jobs, or apply for disability. Some can’t drive or are cautious about driving long distances. A nonprofit patient advocacy organization called the Hypersomnia Foundation is working to raise awareness and promote research. Rye is the chair of the foundation’s scientific advisory board, and his colleague, neurologist Lynn Marie Trotti, is chair of the medical advisory board. “We’ve been seeing how for some people, IH really puts their life on hold, especially if the usual medications don’t work for them,” Trotti says. To gather more information on how the disorder manifests in different people, the Hypersomnia Foundation, in cooperation with South Dakota-based Sanford Research, has created a patient registry. It has more than 1,400 participants so far. The Foundation organizes conferences on IH, maintains a directory of healthcare providers with experience treating IH and related disorders, and has recently implemented a research award program. It has also created guides for families and caregivers on educational accommodations and considerations for undergoing anesthesia. Sigurjon was actually diagnosed in 2016 in Iceland with a form of narcolepsy: type 2, or narcolepsy without cataplexy. Cataplexy is a distinctive symptom, which is tightly associated with the type 1 autoimmune form of narcolepsy: muscle weakness triggered by emotions or stress. People with narcolepsy who do not have cataplexy are usually diagnosed through something called the Multiple Sleep Latency Test. In this test, someone is asked to take four or five naps throughout the day. If they zonk out quickly enough, averaging a delay of less than 8 minutes, and enter REM sleep during two or more naps, then a narcolepsy diagnosis applies. If they fall asleep quickly, but don’t enter REM sleep, then idiopathic hypersomnia (IH) applies. Rye and Trotti have shown that the sleep latency test works well for type 1 narcolepsy but provides inconsistent results for people with type 2 narcolepsy and IH. That is, the test can put someone in one of those last two categories, but if they take the test again, they will often get a different result. This happened to Sigurjon. From Boucetta et al: Altered Regional Cerebral Blood Flow in Idiopathic Hypersomnia. Sleep (2017) Courtesy of Oxford University Press. Sleep researchers in Montreal have shown that the patterns of blood flow in the brain in people with IH are altered, when compared with healthy controls. Even while they are awake, the brains of people with IH look somewhat like those of healthy people who are sleeping. Rye thinks that in people with IH, circuits of the brain that promote sleep may be overactive. One area where this could be happening is the ventrolateral preoptic nucleus (VLPO) in the hypothalamus, a region of the brain that regulates sleep, appetite and body temperature. During the onset of sleep, the VLPO calms other circuits within the brain that would otherwise stimulate someone to be awake and alert. See below. At Emory, Trotti is conducting a brain imaging study of people with IH and narcolepsy, looking at the transitions between wake and sleep. Rye and Trotti prescribe flumazenil only to patients who have not responded adequately to more conventional wake-promoting medications, and after advising them about potential risks and side effects. It can be difficult to get insurance coverage for flumazenil, and out of pocket, it can cost hundreds of dollars per month. In 2017, Emory obtained a patent for the use of flumazenil to treat hypersomnia and related sleep disorders, and the technology has been licensed to a company that is conducting clinical studies on a related drug for idiopathic hypersomnia. 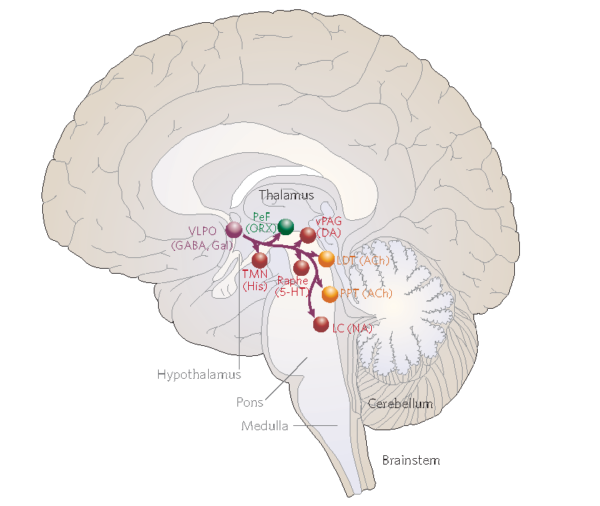 The VLPO (ventrolateral preoptic area) is one of the regions of the brain that actively shuts down wake-promoting centers of the brain, using the inhibitory neurotransmitter GABA. From Saper et al Nature (2005). The mechanism of action of flumazenil is still under investigation.